My mother-in-law recently sent me this recipe. She also loves a good recipe and we have enjoyed exchanging recipes over the years. We had this yummy salad for dinner last night! My hubby grilled chicken. Some of us tossed the grilled chicken in our salad and some wanted grilled chicken on the side. 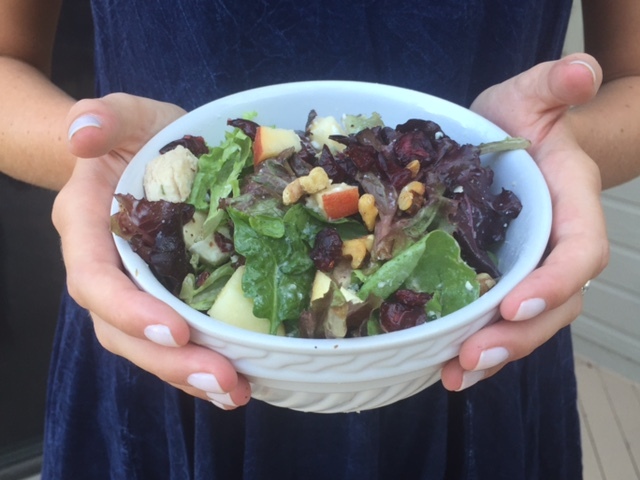 Either way, love this new summer salad! Whisk dressing ingredients together and refrigerate. Prepare salad ingredients and place in a large bowl. Toss just before serving.